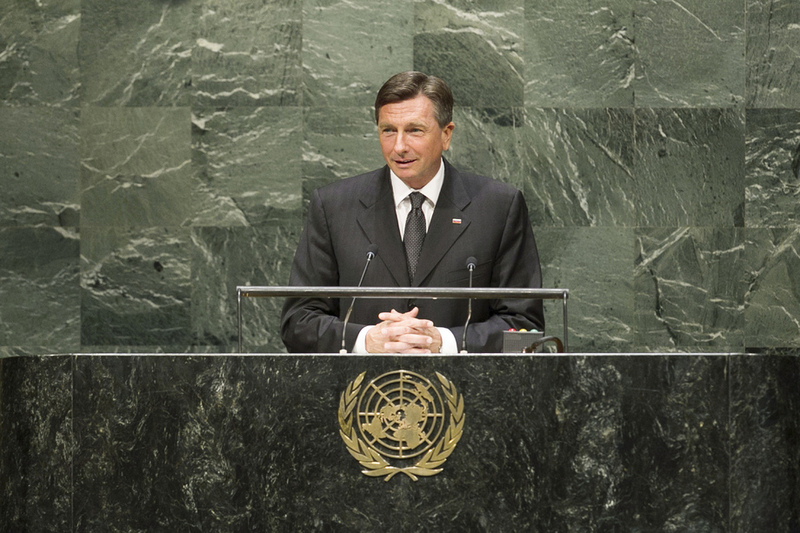 BORUT PAHOR, President of Slovenia, said that, due to new circumstances, the existing structure of the United Nations, and the Security Council above all, was failing its fundamental purpose. If the Organization was not reformed so that it could successfully cope with international conflicts, it risked being side-lined. More and more often, deadlock in the Security Council was used as an excuse for resolving conflicts with force and without United Nations mandate. Those deficiencies had to be remedied immediately, thoroughly and by consensus, or it might be too late. “The third, and probably the last world war, could in many respects be the result of an obsolete and ineffective United Nations Organization”, he added. He said international security architecture must be reconsidered in order to improve capacity to prevent and resolve conflicts, and reclaim the shared values and principles enshrined in the Charter. Complementary to the United Nations, regional and subregional organizations, within their mandates and areas of expertise, must play a key role in maintaining peace and stability. Although there were specific circumstances that could compel the international community to maintain peace by the use of force, a United Nations mandate was essential to ensure credibility. If intervening without it became the norm, the world would certainly arrive at a point where arbitrary action could trigger conflict of broad and uncontrollable dimensions. Next year’s twentieth anniversary of the genocide in Srebrenica should serve as a sober reminder of the responsibility to protect civilians in countries like Iraq, Syria, South Sudan and the Central African Republic, he said. Slovenia supported the French initiative on voluntary restraint from the use of veto in situations of war crimes, ethnic cleansing and crimes against humanity. A comprehensive United Nations approach was also needed for the global threat of terrorism, extremism and militant radicalism that was emerging in the broader Middle East and North Africa. Necessary reforms and renewed commitment to the United Nations principles were needed, as that was the only way to maintain global order based on international law.